To mark Dubai Food Festival, Majid Al Futtaim’s malls in Dubai—in partnership with Dubai Festivals and Retail Establishment (DFRE)—are offering visitors a programme of culinary fun and the opportunity to help children in need with a new charity initiative “Draw for good”. To mark Dubai Food Festival, Majid Al Futtaim’s malls in Dubai—in partnership with Dubai Festivals and Retail Establishment (DFRE)—are offering visitors a programme of culinary fun and the opportunity to help children in need with a new charity initiative “Draw for good”. Visitors will enjoy live performances from celebrity chefs and get a chance to win spectacular prizes, from February 25th to March 12th 2016. Children engaging in the activities will have the opportunity to help children in need through the new charity initiative: “Draw for good”. Little ones visiting City Centres Deira, Mirdif and Me’aisem, will be invited to draw a meal on a white plate that they wish they could share with children in need. Majid Al Futtaim will donate all the proceeds from the purchased plates to humanitarian organisation Red Crescent who will send them to families in need. Additionally, all visitors will be able to make a contribution with donation boxes placed near the stations. Adding to the culinary fun on offer, shoppers will be able to see live demonstrations from numerous culinary experts, right inside the mall. Emirati sensation and young Chef Bader Najeeb, specialized in baking desserts and known for his contagious passion, will be cooking live at City Centre Mirdif, on March 4th, from 2:00pm to 4:30 pm. 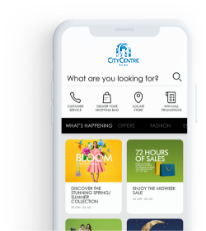 A social media competition ‘Dine and Win’ on City Centre Deira and City Centre Mirdif’s pages will allow winners to personally meet with the young chefs. Offering an artistic touch to the festivities, visitors at Mall of the Emirates will have the chance to show off their ‘Art of Plating’ skills by posting their culinary creations on social media #MOEPLATEART. Food enthusiasts will be able to see the masters in action during live ‘Art of Plating’ demonstrations from five different chefs, daily, in the South Galleria, at noon, 2pm, 4pm, 6pm and 8pm, from March 3rd to 5th. Participants who post their creations on #MOEPLATEART, will have the chance to go home with AED10,000 as a panel of culinary professionals select the best design and use of ingredients. Participating chefs include: British Master Chef Silvena Rowe, television personality, owner of Omnia Baharat and writer of best-seller “Cookbook Purple Citrus and Sweet Perfume” who will demonstrate her experience in the ‘Art of Plating’ on March 3rd, from 4:00pm to 6:00pm; Master Chef Tim Ryder, winner of Master Chef New Zealand 2015 who will be demonstrating his talent for artistic plating on March 4th, from 1:30pm to 4:30pm. >In line with Majid al Futtaim’s vision to create great moments for everyone, everyday, visitors will get the chance to win big during this edition of Dubai Food Festival. At Mall of the Emirates, visitors spending AED 150 or more will get a chance to enter a raffle draw that will allow two shoppers to win AED 10 000. To double their chances of winning, visitors can shop at any F&B outlet of the mall. Visitors of City Centres Deira, Mirdif and Me’aisem will be instantly rewarded with delicious treats at the new and exciting ‘Crave Carnival Stations’. Visitors can redeem their coupons at the Customer Service Desks by showing their shopping receipts of AED 150 or more. To unlock the boxes of the stations, participants simply need to post on their Instagram, Twitter or Facebook pages the event’s Hashtag and coupon code, and the box will open unveiling tasty surprises.